In a market that is teeming in terms of choices, picking the best product is no easy feat. The same thing holds true even in the case of coffee. As a coffee drinker myself, I must admit, it is hard to remain loyal to one brand when something new is introduced year after year. I believe that the key is to sample as much as you could to determine which one is the best. 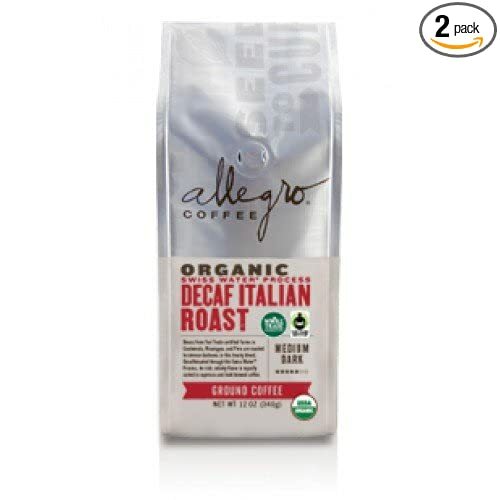 Among others, Allegro Coffee is one name that caught my attention. In the rest of this Allegro Coffee review, I will share with you how I feel on five of their top products. More so, the first part of the discussions will provide a primer about the company and some of the important things that you need to know about coffee. 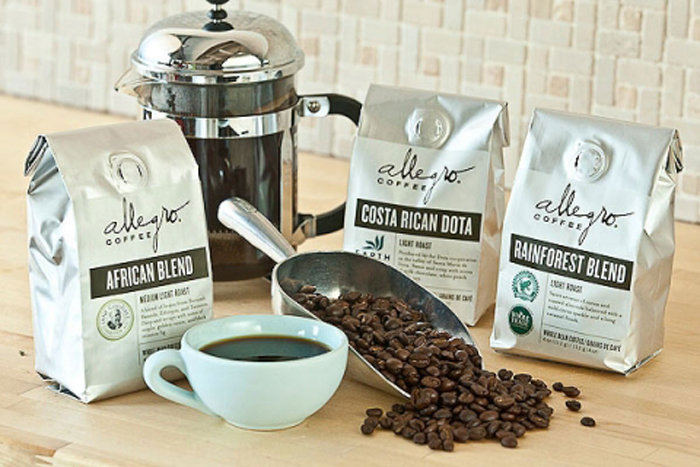 Allegro Coffee Company was born in 1985 and was the brainchild of Jeffrey Cohn. It was not just a roaster, but also a distributor and an importer. It was in 1995 when the company became a national name as they have penetrated almost the entire United States. They have also been the market leader in specialty coffee. 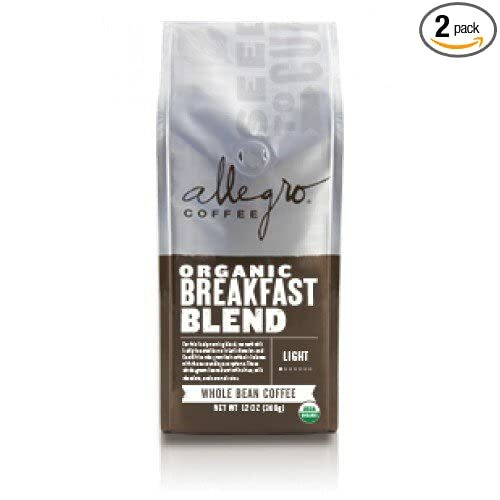 What exactly makes Allegro Coffee great? Aside from their products, they enjoy success that is hard to surpass because of their commitment towards serving every cup with passion. Their coffee is not only about taste, but about tradition that has been present for generations. They want every cup to make you close your eyes – that is how good their coffee should be! Today, to make their coffees more accessible and to take advantage of what modern technology has to offer, their products are available online. They have provided their customers with a convenient platform to avail of their high-quality coffees. With the overwhelming number of their products, however, it is important that you take your time to choose the best. Go online. Type “Allegro Coffee” and for sure, the search results will be almost endless. For the uninitiated, it is easy to choose one based on price. Nonetheless, for the discerning drinkers, quality is more important. To help you out narrow down the possibilities in the market, below are some of the most important factors that you need to consider. Arabica: Between the two, this is generally the better option. The beans of this coffee are grown at an elevation of at least 600 meters. They are mild and aromatic. However, if the beans are grown in a flat land, there is a tendency that the coffee will end up being inferior. Robusta: In contrast, the beans used for this coffee are grown at a lower elevation and this is the reason why it is not as rich as Arabica. It produces three times the caffeine in Arabica, which offers protection against pests. This is generally a cheaper option. Light Roast: This is the type of coffee with the highest acidity. Also, as it is only lightly roasted, much of the caffeine remains in the coffee. More often than not, the coffee will end up tasting a bit sour. Medium Roast: If you are buying beans with medium roast, expect that the color will be medium brown. The beans will not be oily. There is a slight acidity, but it tends to exhibit a well-balanced flavor compared to the two other roast types. Dark Roast: With this kind of coffee, expect that there will be a bitter aftertaste. There is little or no acidity. You will also notice that there are caramel notes as you sip this type of coffee. Indonesia: Low acidity, full flavor, and heavy body – these are some of the things that you will immediately notice from coffees that are made using Indonesian beans. They are also popular because they tend to have a smooth finish. Africa: The most popular coffee regions in Africa are from the east, which include Zimbabwe, Kenya, and Ethiopia. They are known for their distinct floral and fruity flavor profile. They are prepared using traditional methods, which add character to their rich coffee. Central America: If you want a coffee with a light body, this is one of the perfect options for you. It will feel light on your mouth. They are also high in acidity, although it is not as strong as those that are from South America. South America: Compared to Central America, coffee from this region tends to be slightly heavy. Generally, it is high in acidity. The flavor is crisp and bold, making it an ideal choice for people who prefer their coffee to be strong. 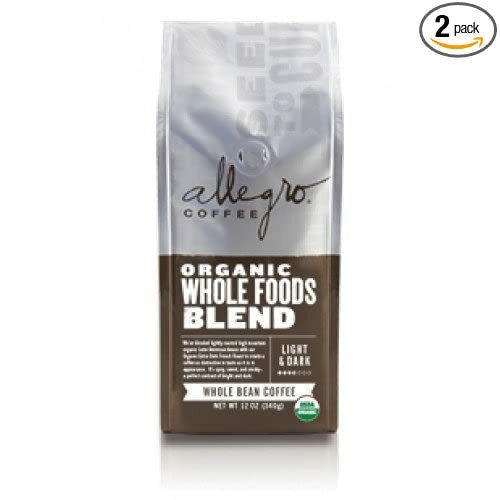 As you shop for coffee from Allegro, you will notice that other products have two broad categories – whole beans or ground coffee. If you are after convenience, I would suggest that you opt for ground coffee. There is no more need to grind beans. This is a huge-time saver. 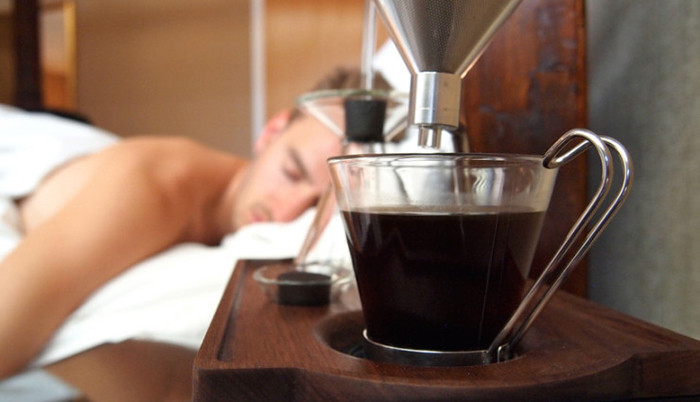 You can bring it anywhere and just add hot water to enjoy your caffeine fix. 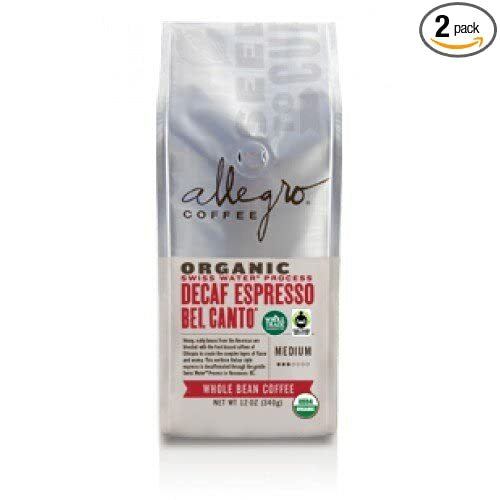 In this section, I will give you a quick look at some of the products from Allegro Coffee, as well as their most notable features. I hope that this will be helpful in narrowing down the possibilities in the marketplace. One of the things that you will love the most about this product is the fact that your order is already inclusive of two packs. The price is already reasonable, but it becomes even more economical knowing that you are buying two packs of high-quality coffee. The combination of the light and dark roast in this coffee is one more thing that is worth noting, which is the one that is responsible for its flavor and aroma. It combines organic Latin American beans with their Organic Extra Dark French Roast. Lastly, this is a coffee that will work for people who are lazy and impatient. Because it is already ground, there is no need to spare time and exert effort to grind beans. It is ready for you to be enjoyed, anytime and anywhere. Among others, one thing that I like the most about this product is how it is whole beans. Yes, you might need effort to grind them, but this is excellent when it comes to versatility. This is because you can select how fine or coarse the grinds are, depending on how you intend to make use of it. If you are a light coffee drinker or if you have issues with caffeine, this will also prove to be a good choice. Since it is decaffeinated, you can have more than a cup a day without worrying about your health. You will not have palpitations or a hard time sleeping, among other problems that are associated with having too much caffeine in the body. When it comes to flavor, do not expect too much bitterness. Again, this is why this will be well-loved by light coffee lovers. It has the perfect balance of being sweet and spicy. It is also syrupy, which you can immediately feel with every sip of your coffee. A lot of people do not want to drink coffee because they suffer from the side effects of caffeine, which include trembling, sweating, palpitating, and having a hard time sleeping, among others. If this is the case, choose this coffee and you can enjoy a hearty drink without side effects. Such is the case because it is a decaf. It is also a good thing that it is a medium roast coffee. It is a well-balanced coffee that will provide a pronounced aroma and flavor. Some people might think that it is too light, but this could be because of the fact that this is decaf. One thing that makes this coffee different from many others is the fact that it is velvety. It is not strong, yet it is also not too weak. This is rich in flavor, which is reflective of the quality of the beans that have been used by the manufacturer. If you are looking for caffeine kick, stay away from this one as you will only end up being disappointed. If you want to enjoy coffee without the harmful effects of caffeine, on the other hand, this is what you should be drinking. Despite not being caffeinated, it has a smooth flavor, which will be evident from the first time it lands your tongue. This is possible because of the meticulous process that the coffee has been through. To extract caffeine from the coffee, the manufacturer made use of Swiss water in its plant in Canada. Carbon filter method was also executed. Despite the removal of the caffeine, a rich flavor is retained, which is why it stills makes a good choice if you are looking for a great-tasting coffee. Being a light roast, this is an acidic choice for a coffee. Nonetheless, because of the light roasting process that it has been through, much of the original coffee characteristics are retained. This is the reason why the flavor and aroma tends to be more pronounced than others. Despite the strong flavor, the bitterness is not overpowering. In fact, once you taste this coffee, you will easily notice its milky flavor. To add, there are citrus, caramel, and chocolate tones, which make the flavor more complex. What makes the coffee taste great? I believe that one of the reasons for the latter is that they have sourced the beans from the best regions in the world. They are from Ethiopia and Latin America, which are known for having ecosystems that produce the best coffee. Now that you are done reading this Allegro Coffee review, I hope that you are able to learn a thing or two. 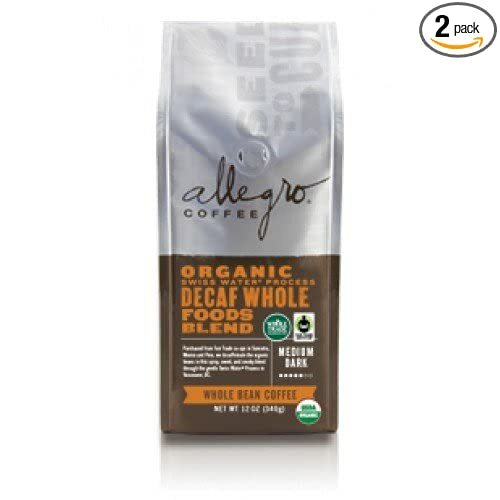 In my humble opinion, Allegro Whole Bean Coffee, 2, Decaf Organic Whole Foods Blend is the top pick. Since it is whole beans, you can grind them as you desire. Best of all, it is decaf, and hence, you can drink as much as you want without worrying about its side effects.